Venturing into the digital landscape in China is one of the most fascinating and unique propositions for savvy marketers. It’s a huge market with over 710 million internet users, according to China Internet Network Information Center—more than double the population of people in the U.S. It is, however, wholly unique. Due to internet censorship by the government, well-known communication channels and social platforms in the U.S. have not been able to establish themselves in the region. This is an uncertain and very different context for foreign brands, from the U.S. and other countries, to market within. What is commonly referred to as the “Great Firewall of China” specifically blocks foreign digital platforms such as Facebook, Twitter, Google, and Youtube. In effect, Chinese citizens without a VPN can only access authorized websites. One of the main reasons for this is that the state supports Chinese digital companies and has created an online environment where they can thrive without competition from the established foreign players. WeChat: Tencent’s WeChat has expanded all across Asia, but its largest user base is in China with over 600 million users. It is an intelligently designed social platform—a cross between WhatsApp and Facebook. It originally launched as a simple messaging platform but has morphed into a fully formed network with a news feed, messaging system (incorporating text, sound bites, and visual cues), payment/wallet system, gaming center, and now even a taxi app to provide an even more comprehensive service. 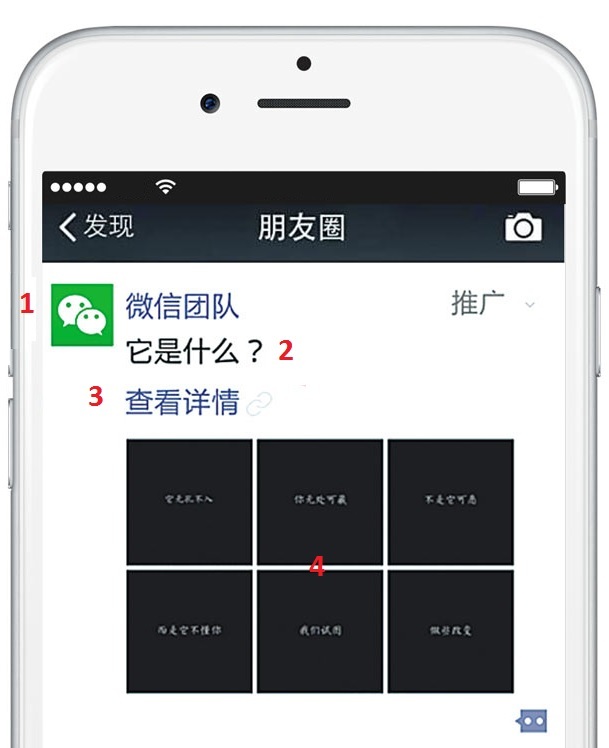 One caveat with using WeChat is that users need to be connected with a brand in order to see and interact with any content that’s posted. To engage WeChat’s audience, marketers need to set up official accounts for their brand on WeChat and encourage users to follow their page, often by offering incentives and promotions for new followers. Weibo: Weibo is another popular social network, with 400 million users. Unlike WeChat, Weibo users are able to see posts from anyone—they don’t have to be connected with them first. Weibo is akin to Twitter; the name literally translates into English as ‘Micro Blog.’ It is a popular platform for brands, and with advertising options through promoted content, marketers can boost their brand’s visibility on a user’s feed in the same way as WeChat. 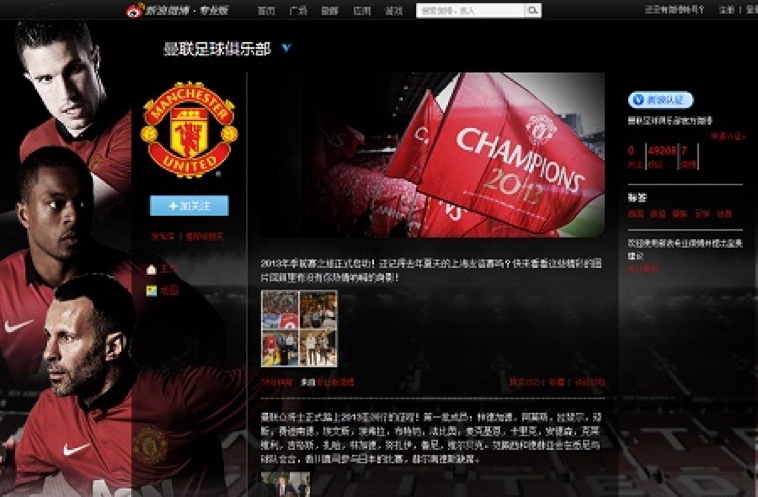 The Manchester United brand has been particularly active on Weibo and has built a strong Chinese following on there. 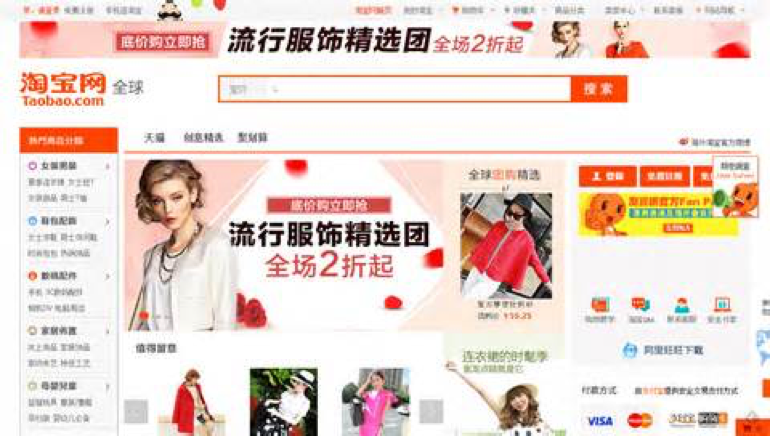 Alibaba: Alibaba is a pillar of China’s e-commerce industry. Its two largest platforms are Tmall Global and Taobao, which consumer marketers can use to reach new audiences. 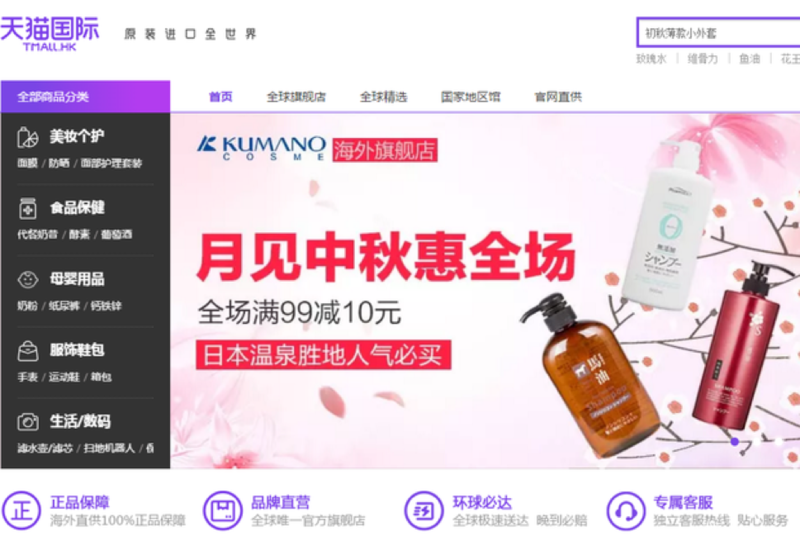 Tmall Global is a section of their business dedicated to international brands, where brands can host online stores and sell their products using its reputable platform. Although it’s an e-commerce platform, rather than a social platform, in a market flooded with counterfeit products, Tmall has become the number one online platform for marketing authentic products. Taobao has a reputation for cheaper, or fake goods, so established brands may want to create a Tmall store instead. While official vendors use Taobao as well, it functions as a marketplace where anyone can sell goods (similar to eBay but without the bidding system). 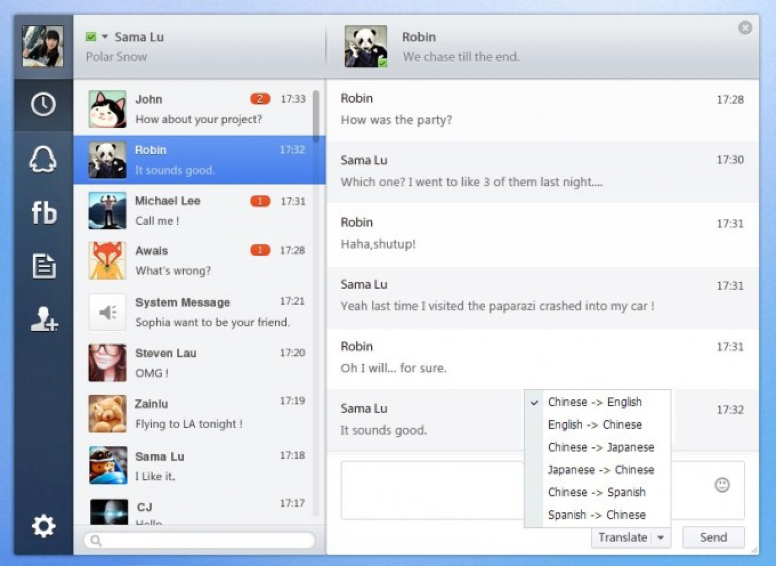 QQ: QQ provides a comprehensive platform with chat forums, music streaming, emails, and instant messaging. While there are no paid advertising options, it’s still an effective platform for marketers to engage and influence their buyers. QQ functions more as a forum where users gather in shared groups based on specific interests. These forums are used for asking questions, addressing issues, and directing users to your page for answers (akin to how Quora functions). To get the most out of this platform, you need to use to target the right groups where users are likely to be interested in your products or services. Chinese buyers are strongly influenced by the opinions of others, so they typically search QQ.com and other forums for feedback. As a marketer looking to penetrate Chinese markets, you should consider concentrating a lot of effort into using community forums to fuel your audience engagement strategy to generate positive sentiment and discussions around your brand. Covert marketing tactics often prove effective, such as starting discussions that feature your brand, encouraging happy customers to leave reviews, and working with influencers to help you build brand awareness. These are influential individuals, such as celebrities or social media personalities, who have a good reputation, have already built up a substantial following, and are considered experts in a specific area. Chinese buyers are strongly swayed by influencers, so working with them to build your brand and disseminate positive content can be very effective. Forging the necessary links takes time and an initial investment, but it will pay dividends in the long run. You can also consider working with Chinese tastemaker, a person who decides or influences what is fashionable, and recruit them for advertising and promotional purposes. The QR code has proven to be a more successful marketing phenomenon across Asia than in the U.S. The reason for this QR code-dominated environment is that WeChat utilizes them to their fullest potential. Want to add a friend on WeChat? Scan their QR code to add them instantly. Want to authenticate a WeChat login on another device? Scan the QR code so the system recognizes you. Need to link your content to a specific business subscription account? Feature the QR Code. The best thing about a QR code is that it lends itself to cross-promotion on multiple platforms. It can be embedded in content on Weibo, WeChat, and QQ digitally, as well as on physical ads. The QR links can be tailored to drive traffic from Weibo to WeChat and vice versa. You can even make payments by scanning a QR code. According to a GSMA study, China has more smartphone users than US, Brazil, and Indonesia combined, and the number of 4G smartphone connections in the country is predicted to reach one billion by 2020. The increasing affordability of smartphones has helped boost adoption, with low-cost smartphones such as Xiaomi overtaking Korean giant Samsung in terms of sales. This has enabled mobile technology to be accessible to the Chinese mass market like never before. As buyers are spending more time on their mobile phones, it’s vital for all your content to be optimized for mobile. Keep in mind that with Chinese regulations, you’ll need the correct business license to use high speed, internal servers. Because the Chinese market is fixated by cartoons and graphic animations, you may need to tweak your content to engage your target audience. In China, the focus is on making the brand as personable and approachable as possible for the consumer, so many large Chinese brands have a comical creature or figure that’s featured prominently in their branding. As a brand in the U.S. or other western countries, one major benefit that will work to your advantage is that western brands are associated with quality. As I mentioned earlier, opening a store on Tmall Global is a strong move, but first you need the necessary credentials since Tmall only hosts official brand stores to ensure a product’s legitimacy. Chinese buyers are willing pay the premium for a western brand, but they need to feel that your brand is strongly established in Europe or America. To convince a Chinese consumer of this, you need relevant and high quality content, a well-developed website in Chinese, strong branding, a significant digital presence, and a product that Chinese buyers will perceive to be good quality. The language barrier has traditionally been a major issue for overseas brands. However, while it’s important to translate content and webpages into Chinese and manage communications in Chinese, English levels in China are increasing as the state has introduced English as a compulsory subject as part of the school curriculum. China Daily estimates that 400 million Chinese citizens are studying English in some form. This being said, it’s still important to translate your content assets, especially those with nuances, into Chinese script. With growing platforms that allow companies to connect with translators in different industries and locations across China, this process is becoming easier. There has arguably never been a better time to expand into China with a more established infrastructure and quality incubators and agencies available to bridge the gap between east and west. 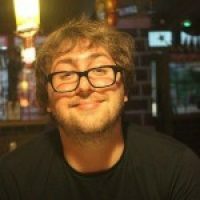 Do you have any great examples to share or tips to add? I’d love to hear what you think in the comments below.